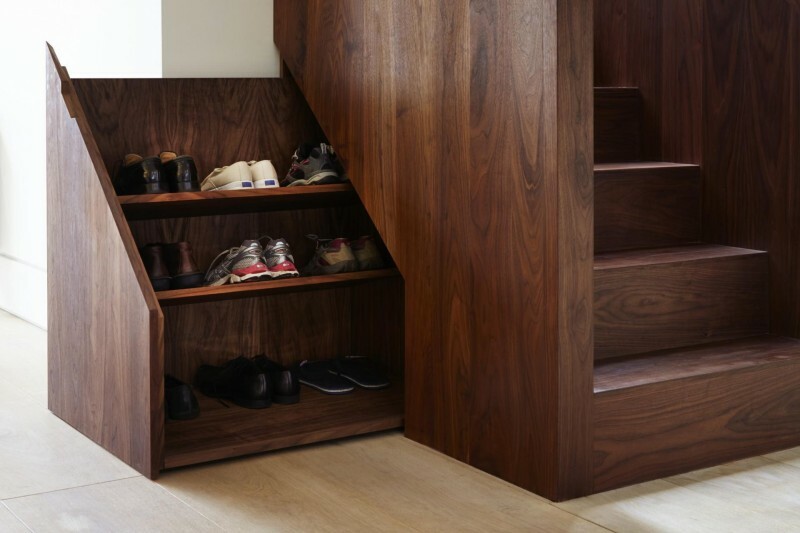 Shoe storage can sometimes be a challenge in a home, so when Fraher Architects were designing the renovation of this home in London, they decided to include a dedicated shoe storage drawer, tucked away under the stairs. 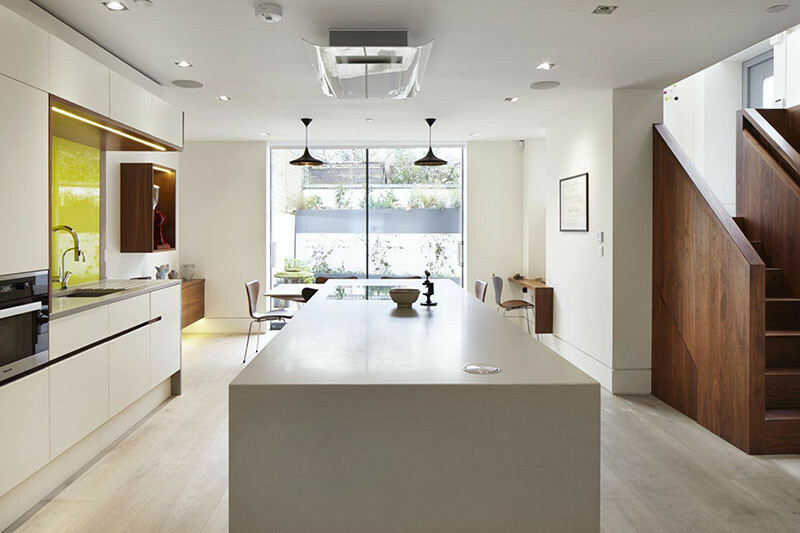 The (almost) seamlessly hidden drawer has a small notch cut out to let you easily open it. Once opened, there are three shelves for shoes that maximize the storage space.